1. What types of liquor products does Connect Logistics Services handle? Connect Logistics Services handles wines, spirits, coolers, and import beer. We do not handle domestic beer. 2. Do you buy product from Suppliers and Agencies? No. Connect Logistics Services does not own the product in our distribution centre. We are a third party warehouser and distributor of liquor products. The product belongs to the Agency or Supplier until it is sold to a licensed buyer. 3. Who decides what products to stock in your warehouse? Each liquor supplier or agency chooses which of their products they will offer for sale in Alberta, based on market need or demand. 4. Can I selectively offer specialty or unique products to specific licensed buyers? Yes. Agencies may allocate products to designated customers, so that only those customers can purchase these products. Allocated products will not appear in the Liquor Wholesale Price List and the Customer Service Department will not give out the product information. 5. 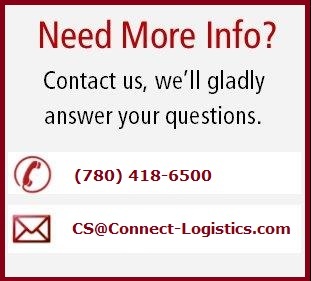 Is there anyone at Connect Logistics Services that I can call with questions? Yes. Our Customer Service Department is open Monday through Friday from 8:00am to 4:30pm, except on statutory holidays. A contact list is available on LiquorConnect.com that will direct you to the individual that can best answer your questions or concerns.